More difficult than you might think. Earlier this week Liz and I went to look for a replacement for her Ford S Max. The S Max has been a good car but it’s time for a change and Liz had in mind the Audi Q5. So off we went to the local Audi garage to peruse the Audi Q5. However, we were disappointed to find they didn’t have one in the showroom. The salesman was very apologetic and explained they were a very popular car and how he could have one available to look at in a day or two. He gave us a business card and asked that we contact him if we wanted more information. Next stop was the BMW garage which was nearby. This time we’re wanting to look at the X3, but guess what? Once again they didn’t have one in the showroom. However, the salesmen were somewhat different, in that two of them ignored us completely and the third said he had some used ones outside. He escorted us to the used X3’s pointed them out to us and then disappeared back into the showroom. We started to have a look only to find both were locked and we couldn’t get inside to have a proper look. Now, I have to say this is the third such experience (arrogance personified) that I’ve had from BMW dealers, so it will come as no surprise that I will never buy one. What next, two of the so called prestige car manufacturers have nothing to look at in their showrooms… a bit of an oxymoron to call their premises showrooms when they have nothing to show, but there you go. Anyway, over to the Ford showroom to look at the Ford Kuga. A much better experience here, for starters they had one in and the salesman was very polite and helpful. We had a good look round the car and left with brochures and all the information we needed. We’re all out of options for Liz and as its close by (cough!) I suggest we drop into the local Porsche dealership as I’ve been hankering after a Cayenne. Comparing the Porsche dealer to the others, they had a Cayenne in (tick) and we were greeted by a very helpful salesman who showed us the car, answered lots of questions and supplied us with the relevant collateral. What’s more when we mentioned that we were looking for a car for Liz and the Audi Q5 was the benchmark, he informed us of the Porsche Macan which is due for release later this year. 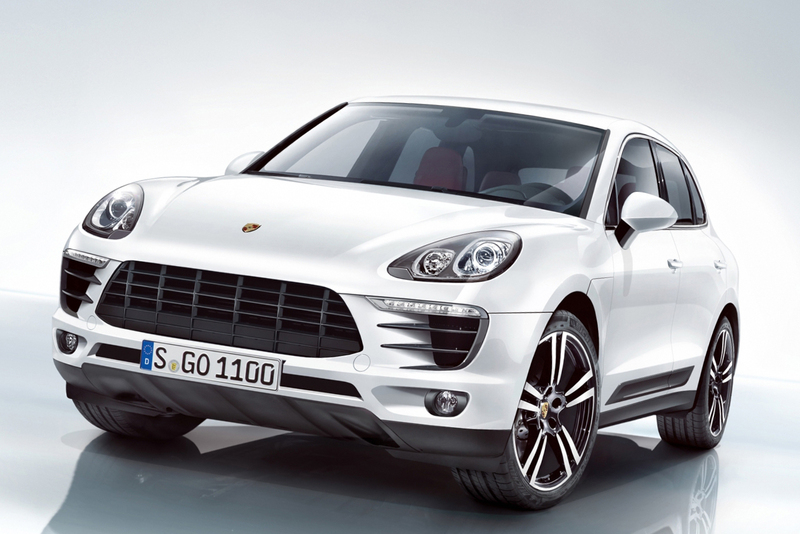 The Macan is smaller version of the Cayenne, and just as the Cayenne shares a chassis with the Audi Q7 the Macan is built on the Q5 platform and therefore the same size… albeit Porsche claim it’s the other way around and that Audi use Porsche chassis. This story is almost finished other than to say that Liz went to a different Audi dealership the next day and they didn’t have a Q5 in either. How can anyone expect to sell cars if they don’t have any in the showroom? In summary then, we’ll be giving BMW a wide berth, Audi have nothing for us to see, Ford were solid, but the winner hands down was the Porsche dealer and I fear that Liz may be the first Porsche owner in the Lynn household.